Search engines consider separate sub-domains to be separate web sites. This is why domain.com and www.domain.com are considered separate web sites. External web sites will sometimes link to your site using both variations and this can lead to you not capturing the full potential of your backlinks. To avoid this problem, you simply need to setup a domain-wide 301 redirect on your Apache web server. Assuming your site is running on Apache (the vast majority are) then you can use the following code. You’ll just need to edit your .htaccess file in your root public directory, or you’ll need to create a text file and save it as “.htaccess” and upload it to your root public directory. Ideally you’ll want to redirect the variation with the least unique domain backlinks to the version with the most unique domain backlinks. You can utilize Majestic SEO’s Site Explorer to determine this. Just register for a free account, then enter both variations of your domain (http://domain.com and http://www.domain.com), be sure to “Use Historic Index” so you’ll see all the backlinks for each. 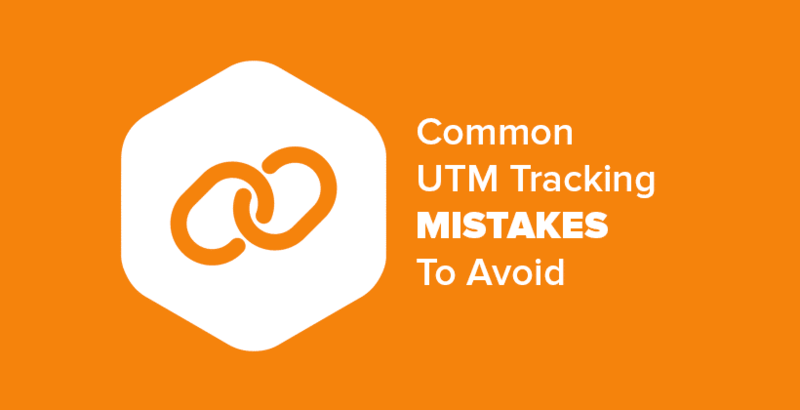 Then, by using the following lines of code, redirect the version with the least unique domain backlinks to the version with the most unique domain backlinks. Make sure your page title is no more than 70 characters in length. Place your targeted keywords as far left as possible, throw in your site/brand at the end after a pipe (|) symbol. The following is a good page title because it is exactly 70 characters in length. In addition, it has the most relevant keywords at the beginning and includes the web site name at the end. The following is a bad page title because it is very short. The only keyword it has in it is SEO. It is only 8 characters in length, meaning it is not making use of the additional 62 characters it could be to target additional, longtail keyword phrases. It also explains nothing about the web site’s home page. Make sure your meta description is no more than 155 characters in length. Place the keywords you anticipate the page ranking for near the beginning of the meta description and be sure to finish it off with a nice call to action. If your page comes up in the results for the keywords you have in the meta description they will be listed in bold. This will help your listing stand out more, then your call to action will entice users to click on your listing even further. Both of these tactics combined can help increase the click through rate on your search engine result page listing. The following is a good meta description because it is exactly 155 characters. It also includes keywords that the page is targeting and likely to rank for. In addition, it has a nice call to action that will entice viewers to click on its search engine result page listing. The following is a bad meta description because it is very short, does not include many keywords and has no call to action. It is only 57 characters in length, meaning it is not making use of the additional 98 characters it could be to explain in more detail what the web site is about and include more relevant keyword phrases as well as a call to action to entice viewers of the search engine result page listing. Images on a web site are like a black box to search engines. This is why alt attributes exist. All search engines have to go on is the name of the image file if you do not use alt attributes. Blind people have the same problem with images on a web site that search engines do. You should always use alt attributes to explain what the image is about. Ideally you can find a happy medium between describing an image and utilizing relevant keywords you are targeting. The following is a good alt attribute example for the above image because it explains in detail what the image is about and it also includes many relevant keywords. This is equally good for visitors and search engines to consume. In addition, the alt attribute does a good job complementing the image file name. The following is a bad alt attribute example for the above image because it explains nothing specific about the image. Simply “seo graph” is too generalized. If you typed “seo graph” in Google would you want to see this image? 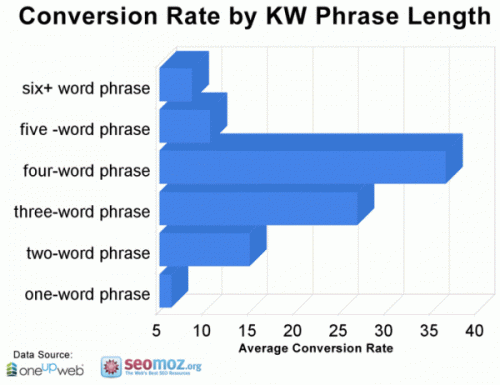 Perhaps, but you’d be far more likely to want to see this graph if you typed in “keyword length conversion rates”. In addition, the image would likely rank much higher for the phrase “keyword length conversion rates” than “seo graph” because it is a far less competitive keyword phrase. The alt attribute in this example, is also not very complementary to the image file name. SEO-friendly URLs are equally people-friendly in that they are easy to remember and include keyword phrases in them. They are important because they help re-emphasize what the page is all about. Not only that, but when people link to a web page they commonly will copy and paste the URL. If your keywords are in the URL, then you get backlinks pointed to your site that have your targeted keywords in the anchor text. The following is an SEO-friendly URL because it utilizes hyphens to separate words and English words to explain what the page is about. Just looking at that URL, you have a pretty good idea about what you’ll find after you click on it don’t you? If you did a Google search for “seo friendly urls” the keywords “seo”, “friendly” and “urls” would be bolded, which again helps with clickthrough rates on your search engine result listing. The following is an SEO-unfriendly URL because it tells you nothing about what the page is about. All I can tell is that it’s one of many posts on seopeng.com. If I had never been to the site before I would have no clue at all what its about. Perhaps it has something to do with search engine optimization? For a site about SEO, they don’t really seem to know what they’re doing! So many business web sites have a blog hosted on a free blogging service such as Blogger. This is a horrible idea because the point of a blog from an SEO perspective is to create great content, which generates backlinks organically. When You host this on your own domain such as http://www.domain.com/blog/ it associates these backlinks with your root domain and increases its overall domain authority. When you have your site hosted on a third party site is doesn’t give you the same benefit. This applies to any content you produce that is hosted on a third party site, always place it on your own root domain when possible. How are you going to measure the success of your web site if you have no data on what it’s doing? There is absolutely no reason not to install analytics on a business web site. You need to establish goals for what you want people to accomplish on your web site. 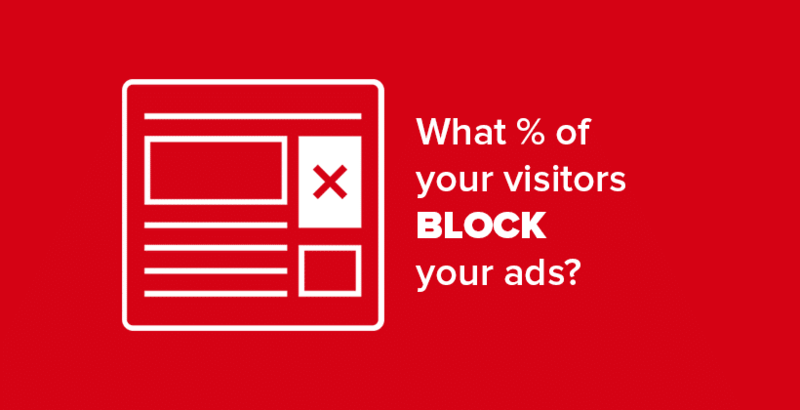 These are known as conversions, desired actions you want users to take on your site when visiting. For a business web site this could by filling out a contact form, requesting a quote, giving you a call, signing up for your newsletter or purchasing a product. There’s no excuse, setting up analytics is very easy and there are many free web analytics packages out there. Google Analytics is one of the best free web analytics packages out there. Stop flying blind and install it today if you have not already! Excellent tips. Great blog, keep them coming. I said keep them coming. I said keep it coming.